This October Essential Starter Kit has everything you need to start your Natural Solutions cabinet and lifestyle! 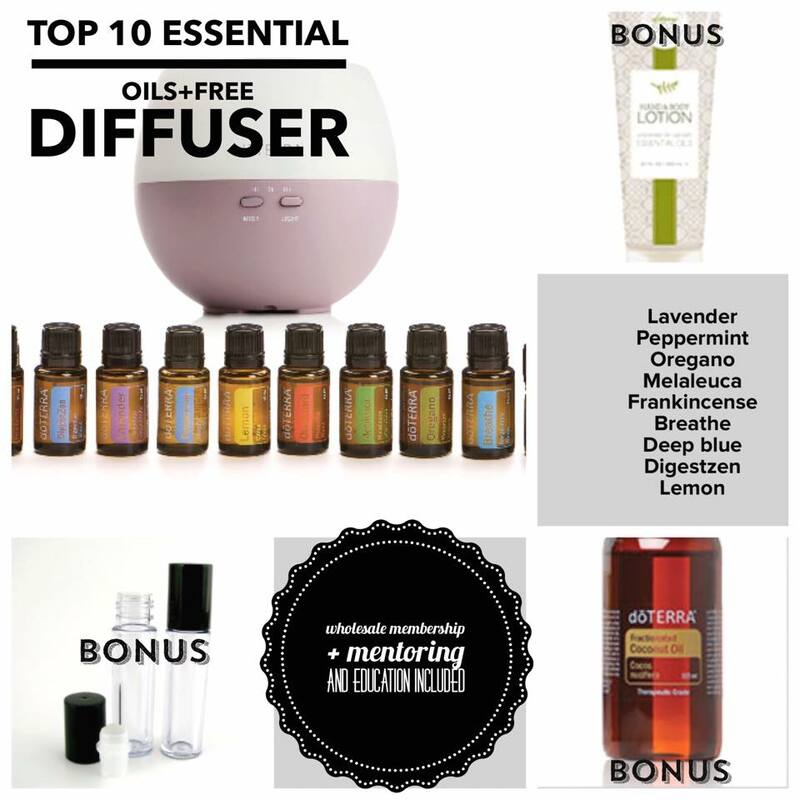 10 full size essential oils (Lavender, Peppermint, Melaleuca, Lemon, Frankincense, Deep blue, Oregano, Breathe, Onguard, and Digestzen) plus a FREE diffuser!! Wholesale membership of $35 is included and waived in this kit (purchase doTERRA anytime you want at wholesale pricing, just like an Amazon account). NOW, the bonuses...... Free 2 roller bottles, FREE fractionated coconut oil, and a FREE unscented body lotion. Mama Gone Natural feels so blessed to have these amazing oils in our home to use on ourselves and our children. YOU need them.... no question!! Every home needs an all natural arsenal at their fingertips at any given time!!! Empower yourselves.... Are you ready to welcome these gifts into your home? Are you unfamiliar with essential oils? Go here to learn what they are and how to use them! So what are you waiting for? Join and Save on doTERRA today! 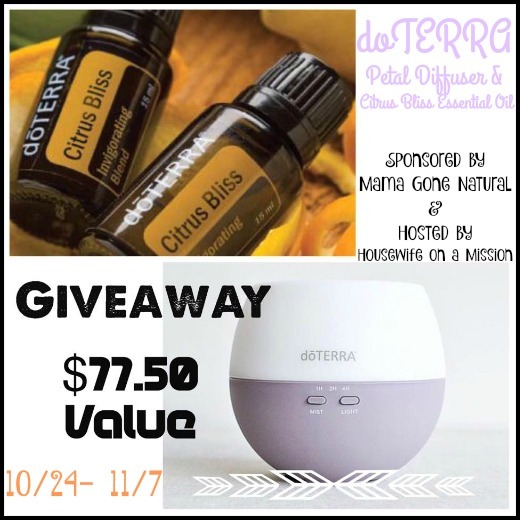 One lucky reader is going to win a doTERRA Petal Diffuser and Citrus Bliss Essential Oil!